1. 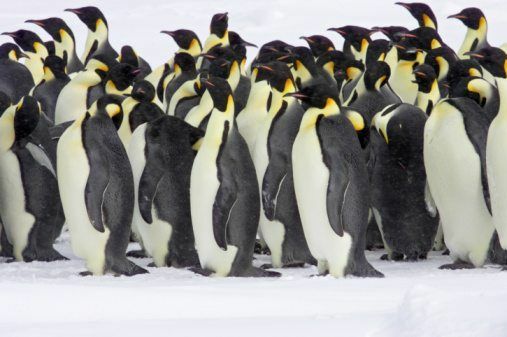 Emperor penguins are truly beautiful birds. Adults have a white stomach and a black head, back, tail and wings. They also have yellowy-gold markings on the side of their head and neck. 2. 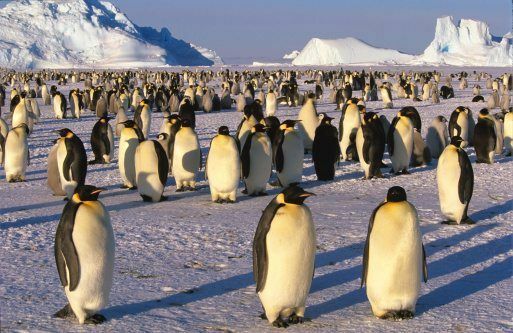 Emperor penguins are the largest of all the different kinds of penguin. On average they measure 115cm tall – about the height of the average six year old. 3. 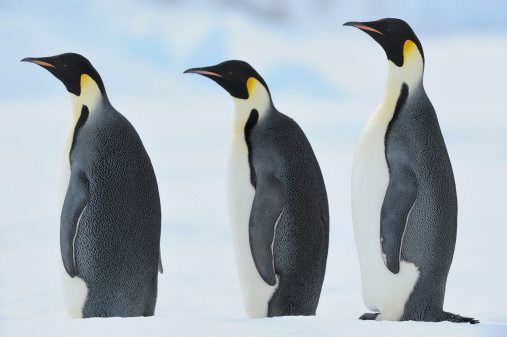 Emperor penguins spend their entire lives in Antarctica – the Earth’s southernmost continent – where temperatures can drop to as low as -60°C. Brrrr. 4. To survive in such low temperatures, these brilliant birds have special adaptations – they have large stores of insulating body fat and several layers of scale-like feathers that protect them from icy winds. They also huddle close together in large groups to keep themselves, and each other, warm. 5. 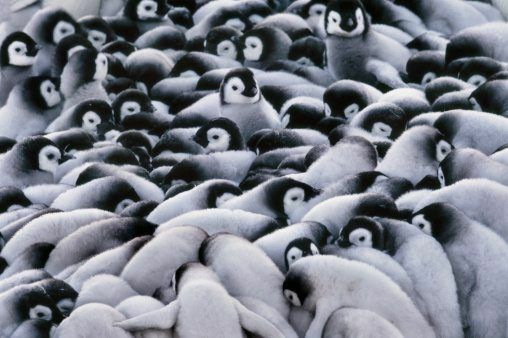 Around April every year (the start of the Antarctic winter) emperor penguins meet to breed on the thick Antarctic ice. By the time the female lays her egg (usually around June), she”s worked up a big appetite! She passes the egg to the male before journeying up to 80km to the open ocean where she can feed her hungry tummy on fish, squid and krill. 6. During this time, the males are in charge of keeping the egg safe and warm in the breeding ground. They do this by balancing the egg on their feet and covering it with feathered skin, called a ‘brood pouch’. It takes about two months for the eggs to hatch. 7. The females return in July, bringing with them food in their bellies which they regurgitate (or throw up) for the chicks to eat. The females now take over babysitting duty, leaving the males to head to the ocean for their own fishing session. 8. As the youngsters grow, the parents leave them in groups, called ‘crèches‘, whilst they head to the ocean to fish. Come December, the warmer temperatures break up the ice that the penguins occupy, bringing open waters closer to the nesting site. By this time, the chicks are old enough to swim and fish, and take to the ocean themselves! 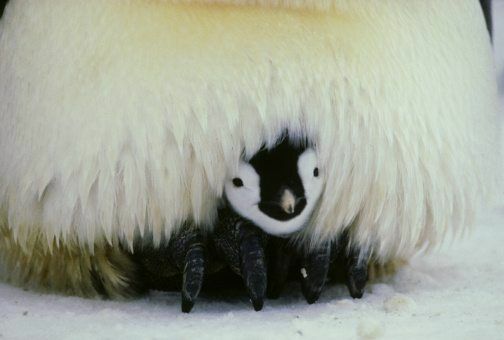 Without the warmth of the parents’ brood pouches, emperor penguin chicks would die in just a few minutes in the cold of Antarctica. 9. 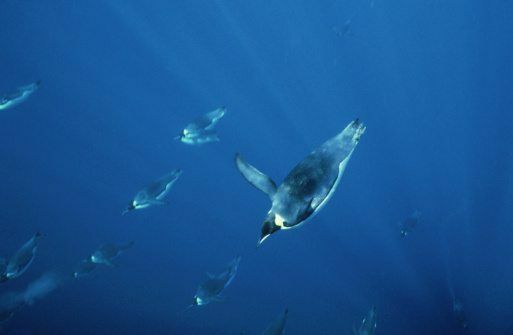 These birds are super swimmers and impressive divers. They can reach depths of over 500m and stay underwater for up to 22 minutes! 10. 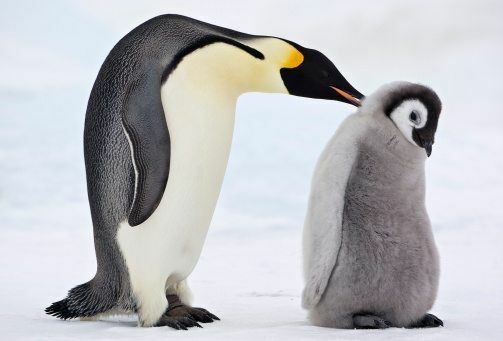 Sadly, today emperor penguins are considered near threatened and their populations are expected to decline rapidly in years to come. It”s feared that rising temperatures due to global warming will reduce their breeding ground, and overfishing will mean less food for them to eat. The good news is that by looking after our planet, YOU can help protect these amazing animals. Check out our Five Top Conservation Tips for some environment-saving ideas! There were heaps of facts and information it is great. Great help with my research. Cheers!!!!! Such amazing creatures! I will try my best to save them! Really cool facts as well! What amazing creatures. I hope we can do something to save them! Thanks. This really helped me with my homework. 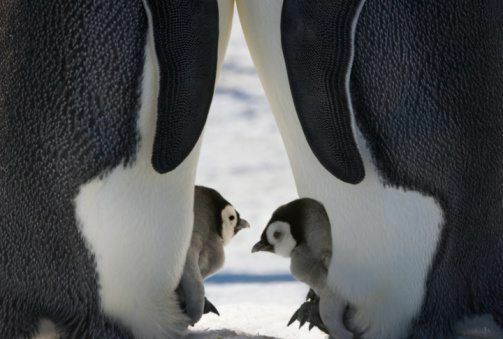 Makes me think of Happy Feet. Lol!